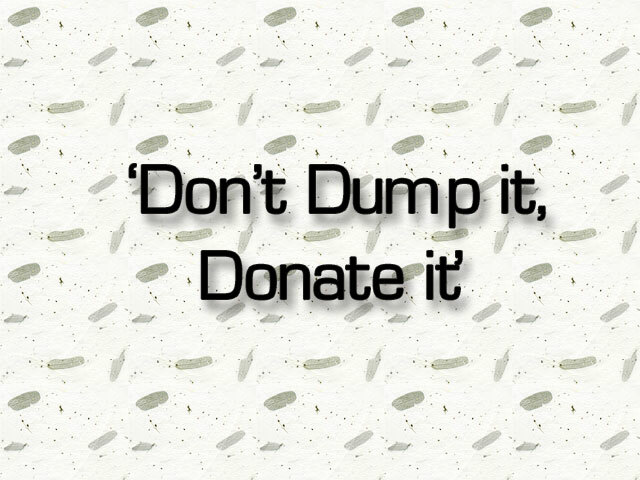 Non-profit faith based organisation, Jump Youth Mission which is involved in community upliftment in the Phoenix, Verulam and the greater Durban areas, encourages members of the community to participate in the organisation’s ‘Don’t Dump it, Donate it’ project. Pillay said their mission as an organisation is to ensure that the communities are free of drugs and no one goes to bed with an empty stomach. “Through our drug recovery home, many youths affected by drugs and other social ills are taken in, fed, clothed and motivated to turn their lives around. Various programmes that aim to assist drug users to refrain from using drugs are conducted. “We also have qualified counsellors and pastors who talk to the recovering addicts about the negative impact of drugs and how they can change their lives for the better. When the programmes have been completed, the youngsters become volunteers for Jump Youth Mission and anti-drug ambassadors in their communities where they offer help to other youth faced with drug addiction,” said Pillay. The Jump Youth Mission makes a humble appeal to the community and organisations to partner with them in the fight against drugs, poverty and other social ills within the communities. “Donations towards our ‘Don’t Dump it, Donate it’ project can also be fetched by our friendly volunteers,” added Pillay. To donate your unwanted goods contact 074 701 8324 or 073 852 5603.